The world renown Albert Einstein said that "I fear the day that technology surpass with our human interaction. The world will have a generations of idiots." The world renown social media network, Facebook now facing controversy on the data breach surfaced but the questions remains when owner Mark Zuckerberg refuse to explain the dynamics of Facebook Inc., how it operates and its security. 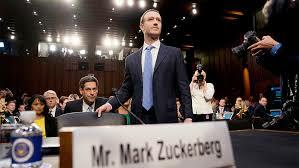 In two days of congressional hearings on Facebook Inc. lawmakers flaunt the question about what types of information the company collects and how it uses the data for advertising purposes? He admitted the existence of shadow profiles but failed to linger how dangerous it is both in the company and the supposed victim.